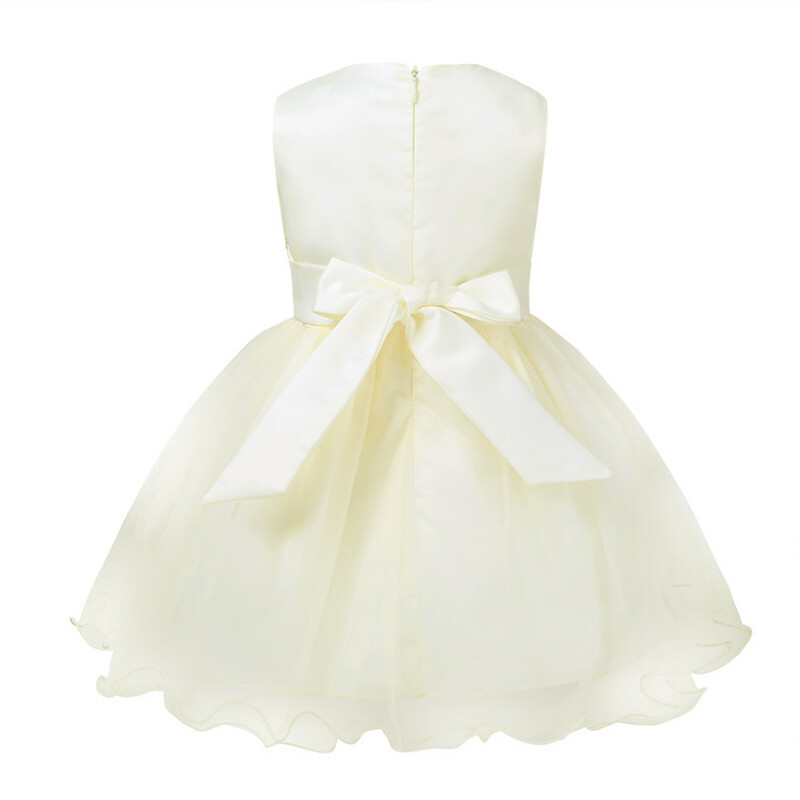 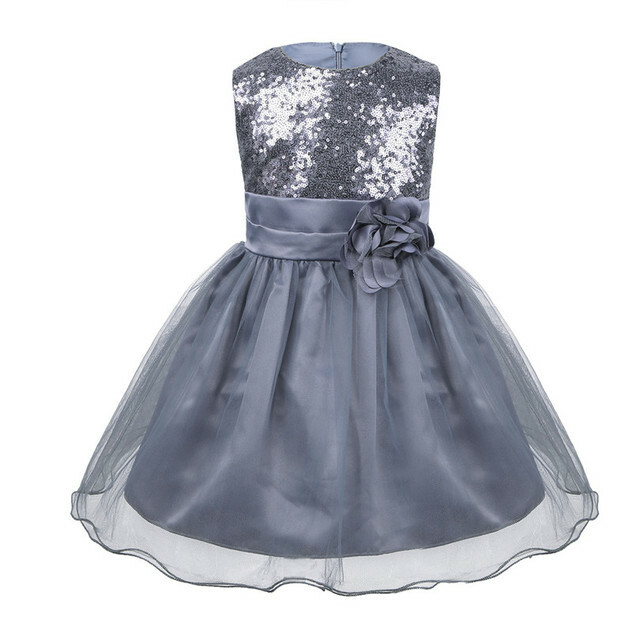 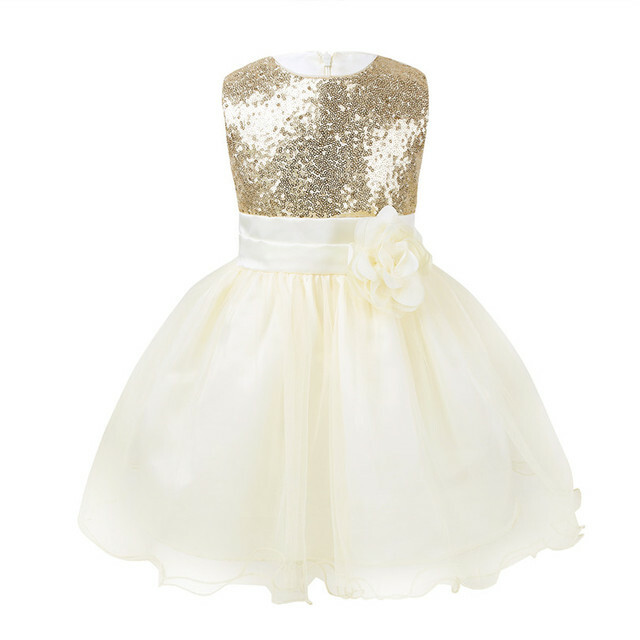 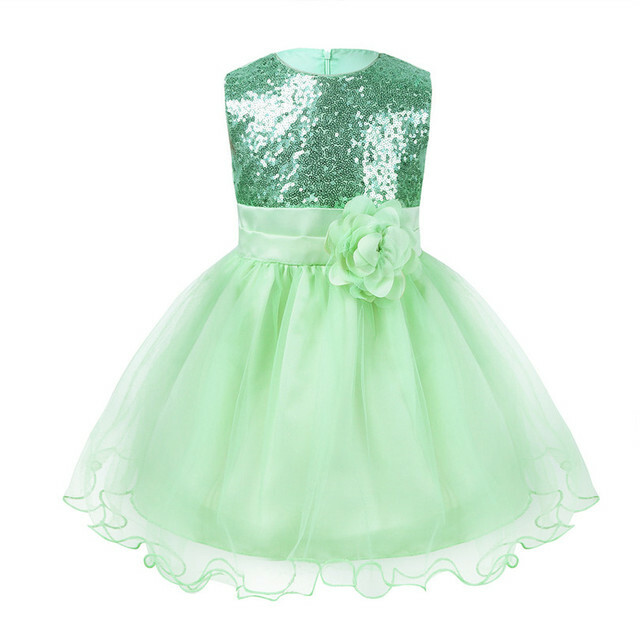 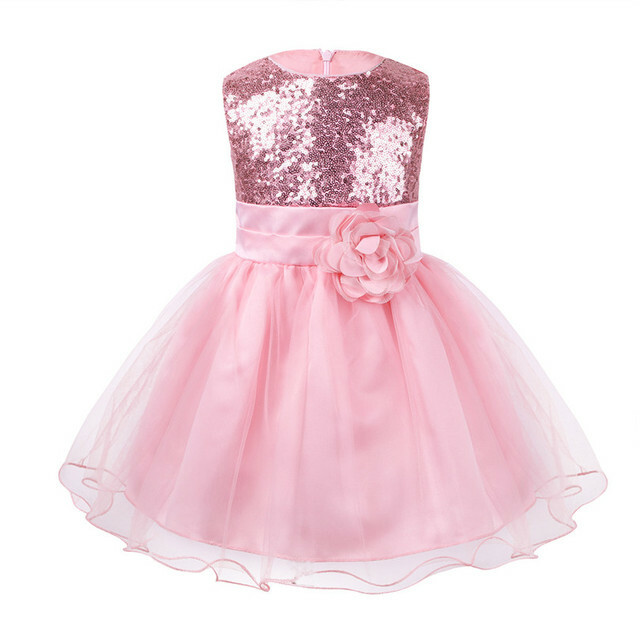 Baby girls sleeveless party dress with a removable flower brooch. 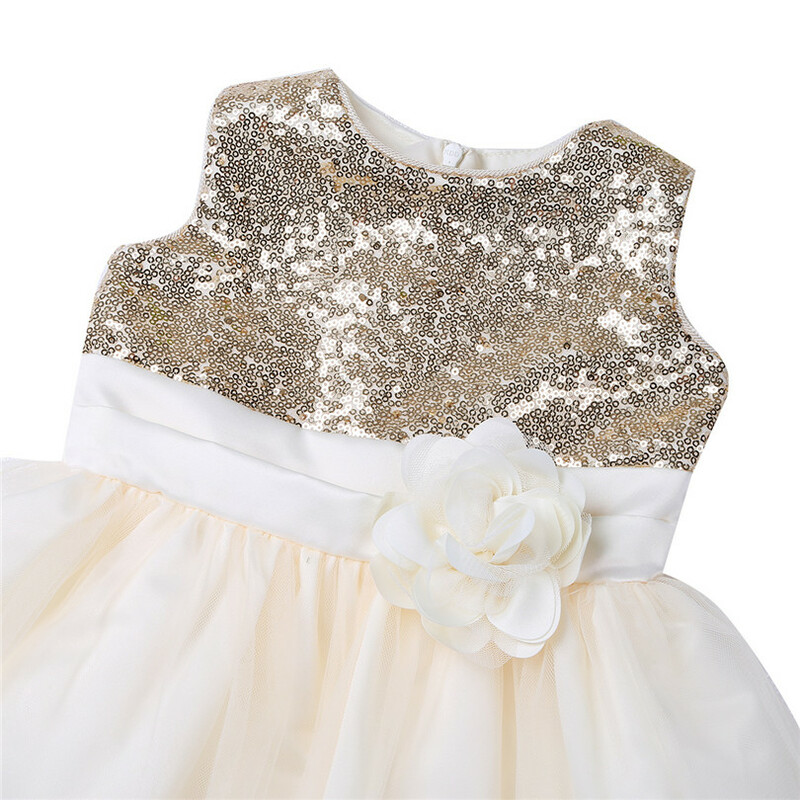 Top bodice front with glitter sequins for decoration. 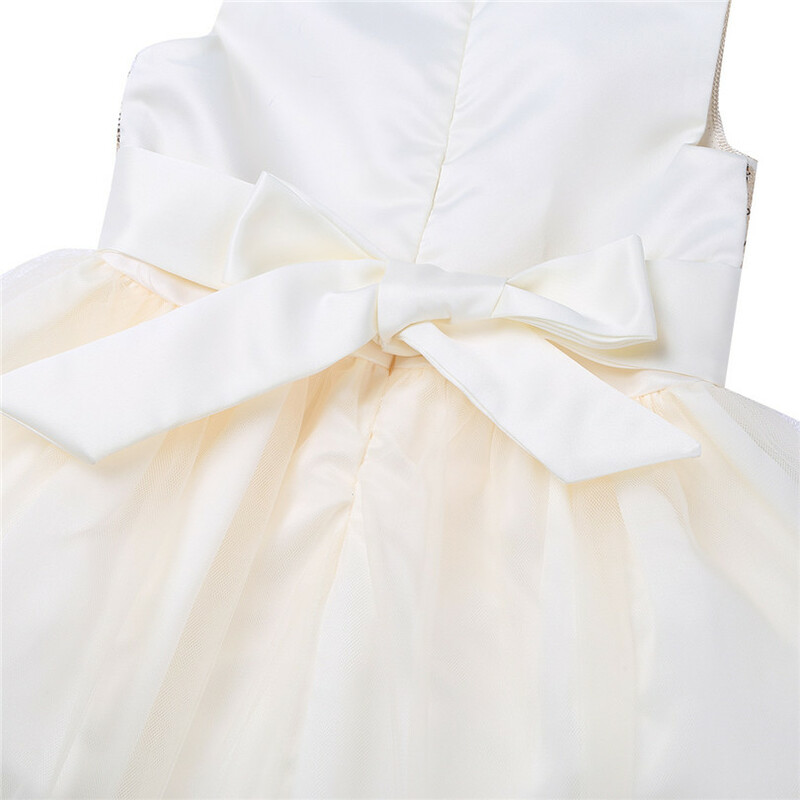 Waist with straps tie at the back. 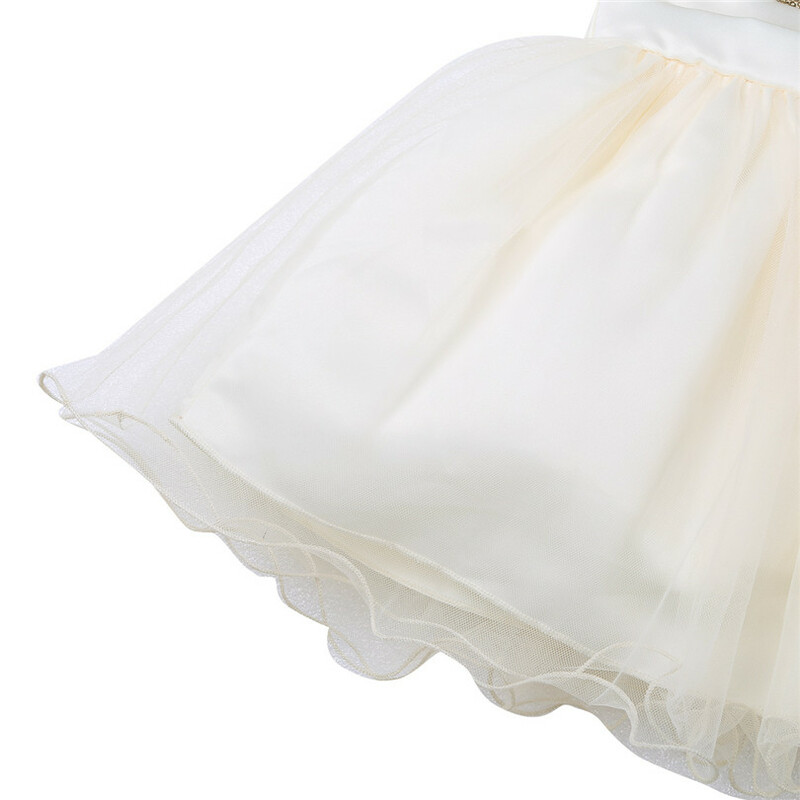 4 layers dress including 2 mesh layers with ruffle edge, 1 layer satin, 1 lining with netting for additional fullness. 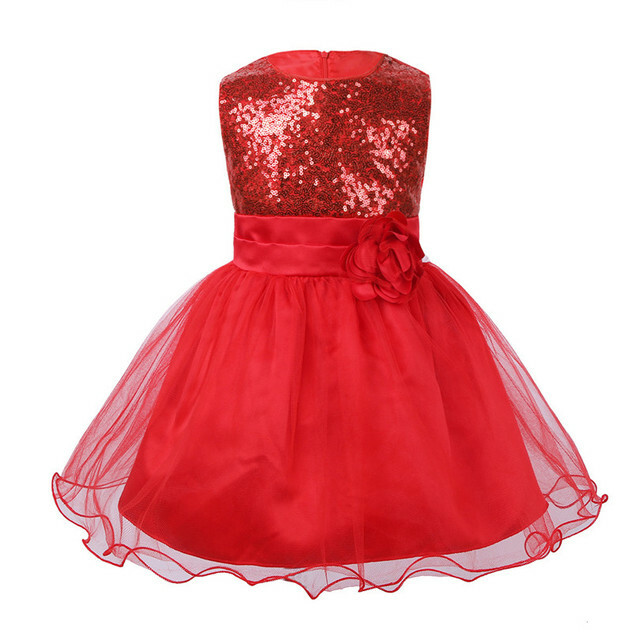 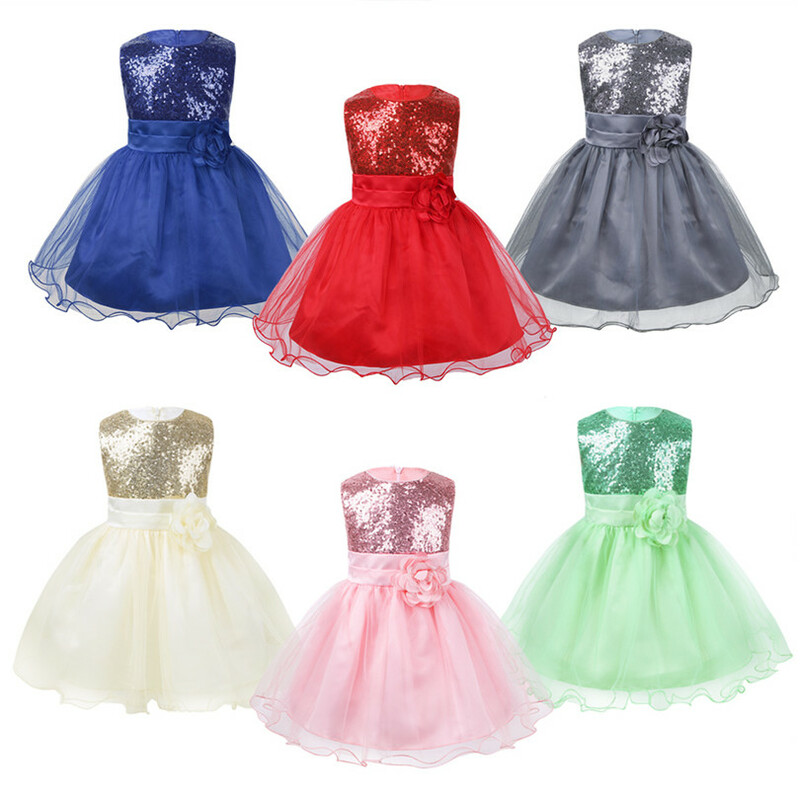 Perfect for party, wedding, pageant, birthday and other special occasions.